On 7 September 2017, the Court of Justice of the European Union (“CJEU”) in Case C 248/16 Austria Asphalt GmbH & Co OG v Bundeskartellanwalt delivered a significant judgment on foot of a reference for a preliminary ruling made by the Austrian Supreme Court on a question relating to the definition of transactions caught by Council Regulation (EC) No 139/2004 of 20 January 2004 on the control of concentrations between undertakings ("EMCR"). The EMCR contains a system for the compulsory notification to the EU Commission of transactions that meet certain thresholds, and therefore have, what is known in EU merger control terminology, as an EU dimension. Similarly, the Irish competition Act 2002 (as amended) (“2002 Act”) contains a regime for the compulsory notification to the Irish Competition and Consumer Protection Commission (“CCPC”) of mergers and acquisitions that exceed certain thresholds or which amount to a media merger. Mergers which are compulsorily notifiable under the EMCR or the Irish 2002 Act are void unless approved. Therefore, jurisdictionally, it is very important to be able to ascertain from the outset whether or not a proposed transaction falls within the merger control regime under the EMCR or the Irish 2002 Act. (b) the acquisition, by one or more persons already controlling at least one undertaking, or by one or more undertakings, whether by purchase of securities or assets, by contract or by any other means, of direct or indirect control of the whole or parts of one or more other undertakings. In Austria Asphalt GmbH & Co OG v Bundeskartellanwalt the CJEU was called upon to decide the question of whether or not the creation of a joint venture, in circumstances where an existing business is solely controlled by one person, becomes jointly controlled, amounts to a “concentration” within the meaning of Article 3 of the EMCR only if the joint venture is a full function joint venture. The EU Commission had taken the view, and argued before the CJEU, that the creation of a joint venture in relation to a business that had been solely controlled amounted to a concentration within the meaning of Article 3(1)(b) and (4) irrespective of whether or not the joint venture was full function. The CJEU noted that, according to Article 3(1)(b) of the EMCR, a concentration is to be deemed to arise, inter alia, where a change of control on a lasting basis results from the acquisition, by one or more undertakings, of direct or indirect control of the whole or parts of one or more other undertakings. However, according to Article 3(4) of the EMCR, the creation of a joint venture is a concentration within the meaning Article 3(1)(b) thereof only where that undertaking performs on a lasting basis all of the functions of an autonomous economic entity. The Court held that consequently, it cannot be determined from the wording of Article 3 alone whether a concentration, within the meaning of that regulation, is deemed to arise as a result of a transaction by which the sole control of an existing undertaking becomes joint when the joint venture resulting from such a transaction does not perform all the functions of an autonomous economic entity. The Court stated that such a transaction, on the one hand, implies a change of control on a lasting basis of the undertaking forming the object of that transaction, thereby satisfying one of the criteria laid down in Article 3(1)(b) of the EMCR and, on the other, may be regarded as creating a joint venture and thereby falling within the scope of Article 3(4) of the EMCR, so that a concentration would be deemed to be created only if that undertaking performed on a lasting basis all the functions of an autonomous economic entity. The CJEU emphasized that when a textual interpretation of a provision of EU law does not permit its precise scope to be assessed, the provision in question must be interpreted by reference to its purpose and general structure (the Court cited judgments of 31 March 1998, France and Others v Commission, C‑68/94 and C‑30/95, EU:C:1998:148, paragraph 168, and of 7 April 2016, Marchon Germany, C‑315/14, EU:C:2016:211, paragraphs 28 and 29). As regards the objectives pursued by the EMCR, the Court stated that it appeared from Recitals 5 and 6 that the regulation sought to ensure that the process of reorganisation of undertakings did not result in lasting damage to competition. According to those recitals, EU law must therefore include provisions governing those concentrations that may significantly impede effective competition in the internal market or in a substantial part of it and permitting effective control of all concentrations in terms of their effect on the structure of competition in the European Union. Accordingly, the EMCR should apply to significant structural changes, the impact of which on the market goes beyond the national borders of any one Member State. The CJEU held that, therefore, as is apparent from Recital 20 of the regulation, the concept of concentration must be defined in such a manner as to cover operations bringing about a lasting change in the control of the undertakings concerned and therefore in the structure of the market. Thus, as regards joint ventures, these must be included within the ambit of the regulation if they perform on a lasting basis all the functions of an autonomous economic entity. The Court referred to the fact that the Advocate General stated in point 28 of her Opinion, that the EMCR does not draw any distinction in its recitals between a newly created undertaking resulting from such a transaction and an existing undertaking hitherto subject to sole control by a group which passes to the joint control of several undertakings. The Court stated that the lack of a distinction was entirely justified due to the fact that, although the creation of a joint venture must be assessed by the Commission as regards its effects on the structure of the market, the realisation of such effects depends on the actual emergence of a joint venture into the market, that is to say, of an undertaking performing on a lasting basis all the functions of an autonomous economic entity. 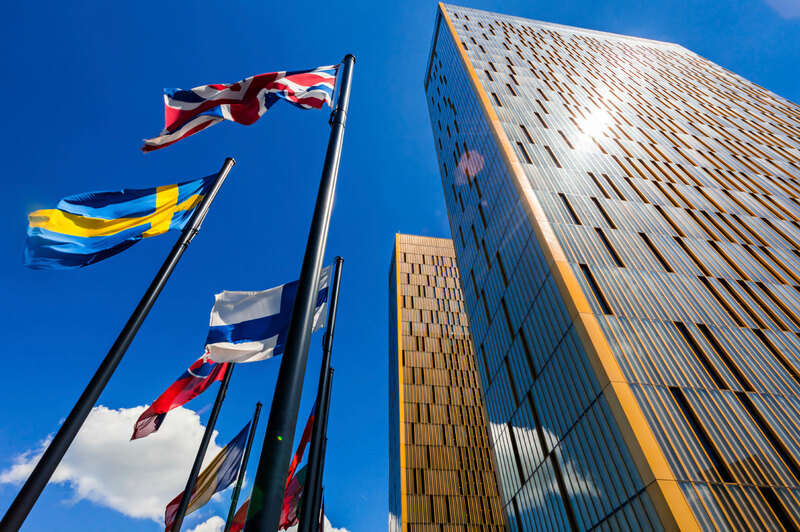 Significantly, the CJEU held that therefore, Article 3 of the EMCR only concerns joint ventures in so far as their creation provokes a lasting effect on the structure of the market. The Court held that such an interpretation was supported by Article 3(1)(b) of the EMCR which takes as the constituent element of the concept of concentration not the creation of an undertaking but a change in the control of an undertaking. The Court emphasized that to follow the converse interpretation of Article 3 of the EMCR, such as that espoused, inter alia, by the Commission, would lead to an unjustified difference in treatment between, on the one hand, undertakings newly created as a result of the transaction in question, which would be covered by the concept of concentration only if they performed on a lasting basis all the functions of autonomous economic entities, and, on the other, undertakings existing before such a transaction, which would be covered by that concept regardless of whether, once the transaction is completed, they performed those functions on a lasting basis. The Court held that it followed that, in the light of the objectives pursued by the regulation, Article 3(4) had to be interpreted as referring to the creation of a joint venture, that is to say to a transaction as a result of which, an undertaking controlled jointly by at least two other undertakings emerges in the market, regardless of whether that undertaking, now jointly controlled, existed before the transaction in question. The Court stated that such an interpretation of Article 3 was consonant with the general scheme of the regulation. The CJEU clarified that although, according to recital 6 of the regulation, the preventative control of all concentrations established under that regulation concerns concentrations having an effect on the structure of competition in the European Union, it did not follow that any action of undertakings not producing such effects escapes the control of the Commission or that of the competent national competition authorities. The Court then referred to the general competition rules which prohibit restrictive agreements and concerted practices and abuse of a dominant position as per Articles 101 and 102 of the Treaty on the Functioning of the European Union (“TFEU”) and to Council Regulation (EC) No 1/2003 of 16 December 2002 on the implementation of the rules on competition laid down in Articles 81 and 82 of the Treaty. The Court held that the EMCR, like, in particular, Regulation (EC) No 1/2003, forms part of a legislative whole intended to implement Articles 101 and 102 TFEU and to establish a system of control ensuring that competition is not distorted in the internal market of the European Union. The CJEU highlighted that as follows from Article 21(1) of the EMCR, that regulation alone is to apply to concentrations as defined in Article 3, to which Regulation No 1/2003 is not, in principle, applicable. By contrast, Regulation No 1/2003 continues to apply to the actions of undertakings which, without constituting a concentration within the meaning of the EMCR, are nevertheless capable of leading to coordination between undertakings in breach of Article 101 TFEU and which, for that reason, are subject to the control of the Commission or of the national competition authorities. The Court held that the Commission’s interpretation of Article 3 of the EMCR, according to which a change in the control of an undertaking which, previously exclusive, becomes joint is covered by the concept of concentration even if the undertaking does not perform on a lasting basis all the functions of an autonomous economic entity is not, therefore, consistent with Article 21(1) of the EMCR. The Court stated that such an interpretation would effectively extend the scope of the preventative control laid down in that regulation to transactions which are not capable of having an effect on the structure of the market in question and would, at the same time, limit the scope of Regulation No 1/2003, which would then no longer be applicable to such transactions, even though they may lead to coordination between undertakings within the meaning of Article 101 TFEU. The Court held that having regard to all of the foregoing considerations, the answer to the question referred is that Article 3 of the EMCR must be interpreted as meaning that a concentration is deemed to arise upon a change in the form of control of an existing undertaking which, previously exclusive, becomes joint, only if the joint venture created by such a transaction performs on a lasting basis all the functions of an autonomous economic entity. This case is significant as it casts aside the view held by the Commission for a long time that a transition from sole to joint control of an existing business would amount to a concentration irrespective of whether or not the resulting joint venture was full function. The above view was also applied by the Irish CCPC in the context of the definition of mergers and acquisitions under Part 3 and 3A of the 2002 Act. Numerous transactions over the years were notified to the Commission under the EMCR and to the CCPC under the Irish 2002 on the basis of the above view. No doubt, the CCPC will be influenced by the judgment of the CJEU when interpreting the 2002 Act. It appears that based on the CJEU's ruling, neither the Commission nor the CCPC (assuming of course that the same approach is followed in this jurisdiction), had proper jurisdiction to accept the notification and conduct the merger review. Furthermore, going forward, the creation of non-full function joint ventures arising from the transition from sole to joint control will need to be assessed under Article 101 of the TFEU and Section 4(1) of the 2002 Act as opposed to the EU and Irish merger control regimes. An assessment will need to be made as to whether the setting up of the joint venture amounts to a breach of Article 101(1) of the TFEU or Section 4(1) of the 2002 Act and if so, then whether or not the joint venture satisfies the conditions for an exemption. The above analysis must be carried out on a self- assessment basis and there is no provision for the grant of individual approval. As a result, the application of the above principles lacks the benefit of legal certainty inherent in a notification, merger review and approval system. Furthermore, it remains to be seen whether or not the Court will, in its interpretation of the definition of concentration in the EMCR, extend the above notion of full functionality to require that a joint venture be full-function in situations where there is a change in the identity of a joint controller of an existing joint venture i.e. where there is an existing joint venture and one of the joint controllers is replaced by the entry of a new joint controller. It is submitted that there is no scope in the wording of the EMCR for such a view. Marco Hickey heads the EU, Competition and Regulated Markets unit at LK Shields. This article originally appeared in the Law Society Gazette.